A real pole dancer can’t wait to jump on a pole. We struggle with our limits and we finally manage to do the fantastic things we do and we are so proud of it that we need to demonstrate the world. This is what happens every time I’m around, far from my tranining room, down in a street and see a pole. That’s what happens every time I spot a free pole on the bus just before people get on. Actually it also happens on a give-way sign pole too. You’re walking and it’s there, right in front of you; it’s becoming nearer as you walk down the street. You’re finally there, feeling your hands to see if they’re dry enough to grip and there you go. 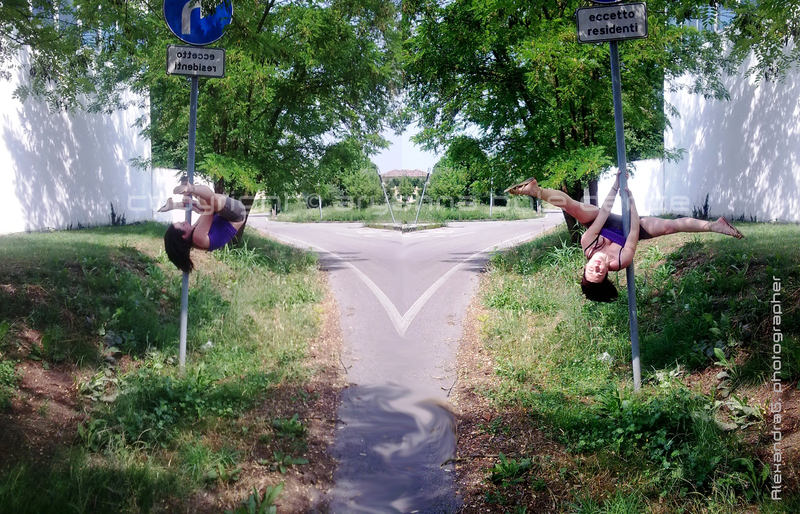 Invert. I can’t really help that. Maybe, I just don’t want to fight. Satisfaction for more than 2600 visits to my Italian Pole Dance Blog in less than two months since I first started it. Satisfaction for my first interview by Corriere del Veneto as the first Pole Dance teacher in Veneto (Italy). Satisfaction for the time spent smiling and having fun with my girls I have been teaching to for only four lessons but it seems to me like I know them all since I was born. Satisfaction for my girls telling me they’re are so happy with my pole dance lessons and that I’m so good at it. Satisfaction for teaching others pole dance after only 1o months self-teaching. Satisfaction for people seeing me dance for the first time and telling me” when you dance you are so damn hypnotic“. Satisfaction for inverting on a street pole or on a bus pole before people getting on. Satisfaction for a 3,5 m high cross knee release on a 45 mm pole I’ve never danced on or never seen before. Satisfaction for beeing called to take part in a sociological research on pole dance. 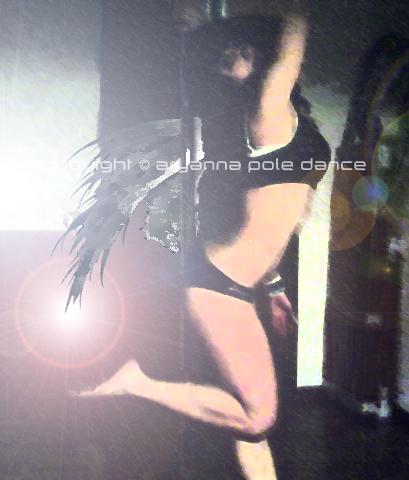 Satisfaction for first pole dance lesson reservation by a girl coming to Italy from United States. Satisfaction is this and all is coming next. Pole dance is filling my life with joy and satisfaction. I’m being recognized as a professional pole dancer and pole dance teacher. Thank you for following me on my blogs! !